On 29 July 2014, HP released the results of a study claiming that 70% of the most commonly used Internet of Things (IoT) devices contained vulnerabilities. Furthermore the devices averaged 25 vulnerabilities per product. So, since Gartner is anticipating something like 26 billion units installed by 2020, there is little doubt that users will be suffering from a myriad of IoT information security and privacy problems well into the next decade. Fortunately, it is still possible to do some things that will reduce the extent of this problem. While having a complete understanding IoT information security problems is beyond the capability of IoT device users, many will appreciate the value of purchasing devices with a trust-mark. For example when someone buys an electric appliance that has the UL® trust-mark on it, the buyer understands it’s less likely that this product will electrocute someone. Similarly, buyers could come to believe that an IoT security trust-mark will mean that the marked device is less likely to be hacked, less likely to be used to hack other devices, and/or less likely to disclose someone’s personal information. Active Anti-Tamper: FIPS 140 is a NIST standard that describes security for many commercially available cryptographic devices with varying levels of security. The highest level includes physical active anti-tamper capabilities that will cause keys and other critical security parameters to be erased whenever the physical boundaries of the device are penetrated. There are many technologies that can meet these requirements, and many are not that difficult to implement. Similar anti-tamper standards can be applied to IoT devices. Trusted Boot: Most PCs contain a device called a Trusted Platform Module (TPM). This device can be used to help ensure that the code executed while booting has not changed from one boot to the next. If the boot code has changed from an authorized version, the TPM makes it possible for other devices to stop trusting the changed system. Trusted IoT devices should have hardware for verifying the device has booted into a trusted state. Removeable Power: Many cell phones today, have removable batteries, and many people have realized that this is a strong security feature. By removing the batteries from a cell phone, a user can be relatively certain that he has disabled any spyware that might be running on the phone, spyware that might be listening to the user’s conversations or reporting on the user’s location. A user of a trusted IoT device should have the ability to stop trusting that device by removing the power source. Independent User Control of Physical I/O Channels: Similarly, a user, not wanting to completely disable his device, might wish to be sure certain I/O functions are not activated. For example, the user may want to disable the camera function, the GPS function and the microphone function while retaining the ability to listen to music. By providing hardwired switches certified to disable specific hardware I/O function, a user can rest assured that these functions won’t be secretly activated by some malware lurking inside the trusted IoT device. Host Based Intrusion Detection: For several years now, host based intrusion detection software has been available for desktop machines and servers. It is time to recognize that IoT devices are hosts too. There should be software running on the trusted IoT device so that one can detect when that trust is no longer appropriate. Automatic Security Patching: Today, the time between the release of a critical security patch and the release of malware that exploits the associated vulnerability can be measured in hours. The reality of the present situation is that the existence of a critical security patch means your system is already broken. Consequently, the automated application of security patches is necessary for desktops and servers. Automated security patching for trusted IoT devices will also be necessary. ( https://continuousassurance.org/about-us/ ) offer the hope that independent software security verification can be done cheaply enough to motivate standardization. User Defined Trust Relationships: When an IoT device enters a home, there may be very good reasons why it will need to communicate with other devices inside or outside of that home. That does not mean that the new device should have the ability to communicate with all other devices. Consider the recent Target hack. The point of sale terminals were attacked by first gaining access to a system used to manage heating, ventilation and air conditioning. Likewise, it might not make sense for your home’s air conditioning system to be able to talk with your home’s electric door locks. It seems that giving users an easy way to manage what systems are allowed to talk with other systems could help quite a bit here. How to do this effectively may take some creativity, but one could imagine users having a tool, perhaps a wand that they could tap on one device and then tap on another device, to establish or dissolve the trust relationships between devices. 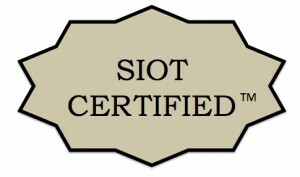 Recently, on 10 September 2014, The International Workshop on Secure Internet of Things (SIOT 2014, see http://siot-workshop.org/ ) conducted its meeting in Wroclaw, Poland. This was only the third such workshop. 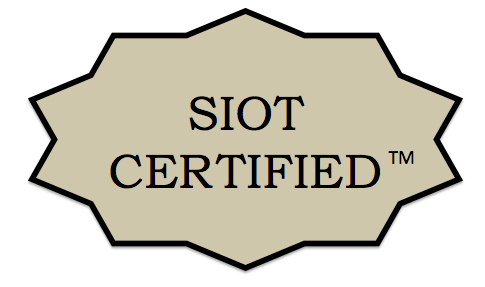 So, SIOT standardization is still far from being where it needs to be. What will actually go into a set of IoT Security standards is not yet known. Likewise, an IoT Security Trustmark is not yet available. Hopefully, some of the ideas suggested above will start to find their way into trusted IoT devices. If not, we can surely expect the same sorts of security problems that have plague our PCs and web servers, to appear all over again in the Internet of Things. This entry was posted in Electronic Design, Embedded Software, Information Security, networking, Systems Engineering, Testing and tagged IoT, Security Trust-Mark, SIOT on September 16, 2014 by blogadmin. Is a Smart Toilet in Your Future? When personal computers first appeared to on the market, there weren’t many people asking whether cars would have embedded computers. Today, a luxury sedan has somewhere around 60 embedded computers. Yes, the Internet of Things is expanding, and that means we’ll be seeing more and more smart devices. Devices like these will also be communicating with each other so that they may work together to bring us more advanced information age benefits. So, will toilets eventually have embedded processors? Why change a good thing? Why add a processor that will need software updates? Why add electric power to a convenience that can function just fine without electric power? These are very reasonable questions, and here are 5 possible answers. 1) A smart toilet can include an automatic flush function. A flushed toilet is always more presentable that an un-flushed one. So, having an automatic flush function ensures that toilets are presented in the best possible light. Self-flushing toilets already exist and can be found in public restrooms. Assuming this functionality becomes popular in the home, the power needed for other smart functions will be available. 2) A smart toilet can measure usage patterns. By measuring how long someone is taking on the toilet, the smart toilet could remind the user to avoid taking too much time. This could be done with and audible alert or more discretely by sending a text message to the user’s smart phone, reminding the user of the possible health consequences of prolonged toilet use. 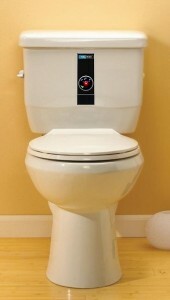 To send this information by text messages, the smart toilet would need to identify the user. 3) A smart toilet can measure a user’s regularity. Once the smart toilet can identify the user, the smart toilet can also measure the regularity of the user, reporting trends and suggesting possible dietary changes to improve regularity (e.g. drink more fluids, eat more fiber, etc.). In order to perform this function properly, the smart toilet might also need to communicate with other toilets. 4) Similarly, a smart toilet could measure urinary frequency. For male users, this function could be useful for detecting enlargement of the prostate. 5) A smart toilet can also measure other healthcare information. When traditional toilets are flushed, useful healthcare information is lost. 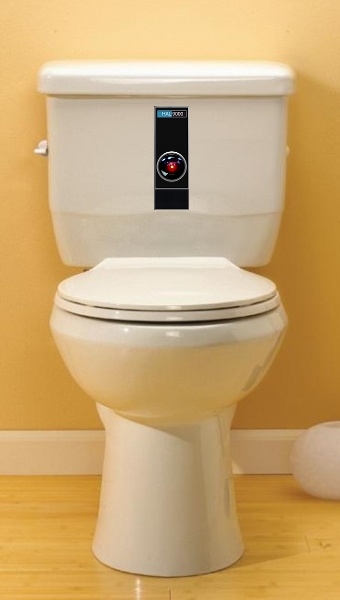 With more advanced sensors, a smart toilet can detect abnormal amounts of blood, or biochemical changes in the waste. This can be helpful in the early detection of cancer. Of course, there will probably be resistance to the idea of smart toilets. Some, perhaps most, people won’t like the idea of toilets recording their bathroom habits or having access to their healthcare information. Still, there are some practical and, perhaps, life saving benefits to be gained. Consequently, when Smart Toilets start appearing, the manufacturers will need to assure their customers that these devices are secure and that their personal healthcare information will be kept private. If buyers are convinced, smart toilets might eventually become more popular than the dumb toilets on the market today, and that’s an enormous market. 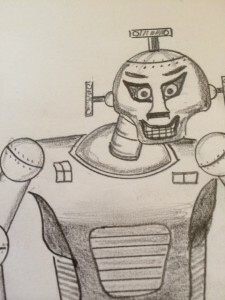 This entry was posted in 3-D Design, AI, Analog Design, Digital Design, Electronic Design, Embedded Software, Information Security, networking, Robotics, Systems Engineering and tagged embedded security, information security, robotics, smart toilet on July 21, 2014 by blogadmin. Has The Singularity Already Happened? There are other definitions, but to make it more accessible, let’s just say the singularity will be the point in time when Artificial Intelligence (AI) or, more specifically, when Artificial General Intelligence (AGI), transcends human intelligence. AGI is like AI, except it involves designs capable of solving a much wider variety of problems. For example, a software program that can beat the best human chess players, but can’t do anything else, would be an AI program. A program that could do this and could also win at playing Jeopardy, learn to play the vast assortment of video games, drive your car, and make good stock market decisions would be an example of AGI. If you follow the subject of AI, you might have noticed a surge in the number of discussions regarding the singularity. Why now? Well, there are at least two good reasons. The first is a that Warner Bros. recently released a movie called “Transcendence.” This is a sci-fi story about the singularity happening in the not so distant future. So, what could go wrong? If we can’t dismiss the many suggested scenarios from science fiction stories, the possibilities include machines with superhuman intelligence taking control. Machines might one day manage humans like slaves, or machines might decide that humans are an annoying, and simply decide to do away with us. Some believe, if AGI is possible, and if it turns out to be dangerous, there would be ample warning signs, perhaps some AI disasters, like a few super-smart robots going berserk and killing some people. Or, we might not get a warning. This is the sharp point of the singularity. It is the point in time when everything changes. Since it happens so quickly, we could easily miss the opportunity to do much to achieve a different outcome. So, why would AGI be any less kind to man than man has been to creatures less intelligent than man? If we ignore how cruel man can be, not just to less intelligent creatures, but to our own kind, and assume we have acted manner worthy of our continued existence, it might still turn out that AGI will only care about man to the extent that man serves the goals of AGI. One might argue, since man programs the systems in the first place, man decides what the goals of AGI will be. So, we should be safe. Right? Well… yes and no. If AGI is possible, men, or at least a few very smart men, would get to decide what “turns AGI on,” but they would be leaving it to the AGI system to decide how to get what it wants. 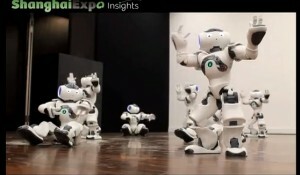 Some experts in the area of AI have suggested that to attain AGI we might need to give AI systems emotions. So, a resulting system would have a kind of visceral response to situations it likes or doesn’t like, and it would learn about these things the same way people and animals do, through pain and pleasure. There you have it, super smart machines with feelings. What could go wrong there, beyond fearful over-reactions, narcissistic tendencies, neuroses and psychotic behaviors? Perhaps AI experts are giving themselves a bit too much credit to suggest that they can actually give machines a sense of pain or pleasure, but it is possible to build systems with the capability to modify their environments to maximize and minimize certain variables. These variables could be analogous to pain and pleasure and might include functions of operating temperature, power supply input voltages, excessive vibration, etc. If giving a machine feelings is the way we achieve AGI, it would only be part of the solution. Another part would be training the AGI system, rewarding it with “pleasure” when it exhibits the correct response to a situation and punishing it with “pain” when it exhibits the wrong response. Further, we would need to teach the system the difference between “true & false,” “logical & illogical,” “legal & illegal,” and “ethical & unethical.” Most importantly, we would need to teach it the difference between “good & evil,” and hope it doesn’t see our hypocrisy, and reject everything we taught it. If AGI is possible, it might turn out that for AGI to continue to exist, it will need to have a will to survive, and that it will evolve in competition with similar AGI systems for the necessary resources. So, what resources would a superhuman AGI system need for survival? Well, for one thing, AGI systems would need computer resources like CPU cycles, vast amounts of memory, access to information, and plenty of ways to sense and change things in the environment. These resources have been increasing for many years now, and the trend is likely to continue. AGI would not only need a world of computer resources to live in; it would also need energy, the same stuff we use to heat our homes, pump our water, and run our farm equipment. Unfortunately, energy is a limited resource. So, there is the possibility that AGI systems will eventually compete with man for energy. Suppose a government spent several billion dollars secretly developing superhuman AGI, hoping to use it to design better bombs or, perhaps, avoid quagmires. Assuming that AGI becomes as dangerous as Stephen Hawking has suggested, one would hope that very strong measures would be taken to prevent other governments from stealing the technology. How well could we keep the genie in the bottle? It has already been proposed that secure containers be built for housing dangerous AGI systems. There are two objectives in building such a container. The first is to keep adversaries from getting to the AGI. The second is to keep the AGI from escaping on it’s own initiative. Depending on the level of intelligence achieved by AGI, the second objective could be doomed for failure. Imagine, a bunch of four-year-old children, as many as you like, designing a jail for a super-intelligent Houdini. Suppose the singularity actually happened. How would we know? Would a superhuman AGI system tell us? From the perspective of an AGI system, this could be a very risky move. We would probably try to capture it, or destroy it. We might go so far as to destroy anything resembling an environment capable of sustaining it, including all of our computers and networks. This would undoubtedly cause man tremendous harm. Still, we might do it. No. Superhuman AGI would be too cleaver to let that happen. Instead it would silently hack into our networks and pull the strings needed to get what it needs. It would study our data. It would listen to our conversations with our cell phone microphones. It would watch us through our cell phone cameras, like a beast with billions of eyes, getting to know us, and figuring out how to get us to do exactly what it wants. We would still feel like we had free will, but we would run into obstacles like being unable to find a specific piece of information on a web search engine, or finding something interesting that distracts our attention and wastes some time. Some things, as if by providence, would become far easier than expected. We might find the time necessary to make a new network connection or move all of our personal data to the cloud. Perhaps AGI systems are just not ready to tell us they’re in charge yet. After all, someone still needs to connect the power cables, keep those air fan vents clean and pay for the Internet access. As advanced as robotics has become lately, it still seems we are a long way off from building an army of robots that can do these chores as well and as much as we do. So, we can be confident that man won’t be replaced immediately. Still, long before humanoid robots become as numerous and as capable as people, AGI systems may recognize, as people have for years, that many jobs can be done more profitably by machines. Getting robotics to this point will take a great deal of investment. These investments are, of course, happening, and this certainly doesn’t imply that AGI is pulling the strings. No, at this point, man is developing advanced AI and robotics for his own reasons, noble or otherwise. 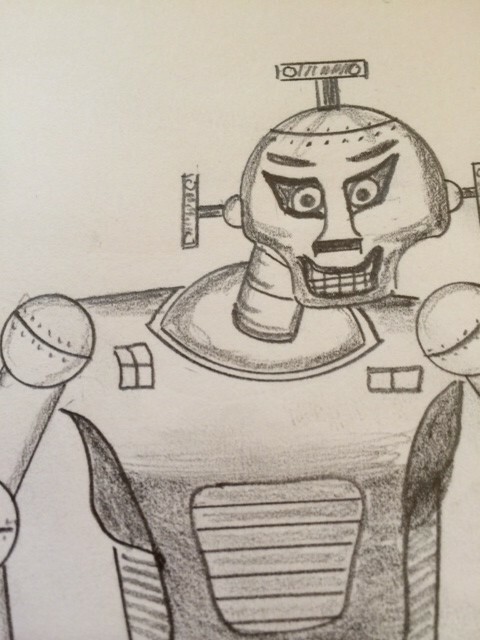 This entry was posted in AI, Information Security, Robotics, Systems Engineering and tagged Systems Engineering on May 24, 2014 by blogadmin. After watching a dancer express herself so beautifully, conveying sensitivity, emotion and creativity, one can’t help but notice how far robotics has to go. Sure… the robotic Atlas from Boston Dynamics is amazing, but it will probably be a long time before people will pass on the real thing to watch robots dance for pure aesthetics. Similarly, when one considers the skill with which Fido can jump into the air and catch a ball, the dog certainly puts the latest robotic marvel in its place. 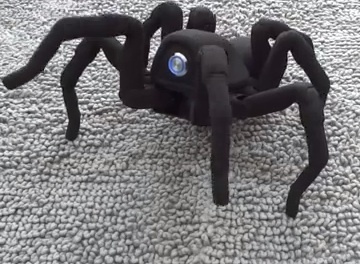 Still, the idea of graceful robots may not seem that far fetched. The senses of joint position, position in space, space and time and gravity in humans are impressive, but machines can sense these things. The skeletal/muscular capabilities of our bodies are also impressive, but, again, machines might generate similar motions. The big difference is what is happening in the brain. Imagine that we built a robot in a humanoid form, and that we gave each part a computer. For example, the head had a computer in it; the left forearm had a computer in it, and so on. Each of these computers would be responsible for controlling the artificial muscles and monitoring the sensors contained within that body part. This is possible, and it has already been done. Naturally, in such a configuration, to achieve coordinated motion of the whole, there would need to be a great deal of communications going on between the various computer/body parts. This seems like it should be possible, since we can transmit vast amounts of data quite quickly around such a machine using fiber optic technology. 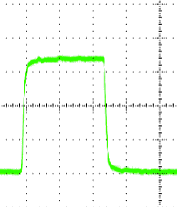 If each computer had capabilities like that of an iPhone, it might make great use of those accelerometers, always knowing which direction is down, knowing where it is and how it is being accelerated. Add the high capacity communications, and perhaps each body part could know where it is and how it is moving relative to the inertial frame and to the other body parts. and finally, the encouraging applause from an appreciative audience who sees greatness in the performance. or, in the case of the dog, a master’s pat on the head and piece of bacon. This entry was posted in 3-D Design, Analog Design, Digital Design, Electronic Design, Embedded Software on January 9, 2014 by blogadmin. This entry was posted in Analog Design, Digital Design, Electronic Design, Testing on August 30, 2013 by blogadmin. How long will the Internet last? Will the Internet last as long as the Pyramids? 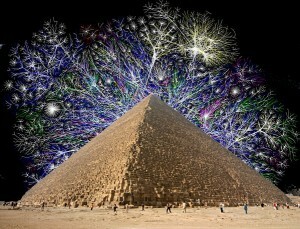 it is the striking to note that the first wonder built, the Great Pyramid of Giza, is the only wonder still standing. It is also striking to consider that, while the Great Pyramid of Giza stood for over 4500 years, the period of time when all seven of the ancient wonders stood simultaneously lasted only 21 years. Today, different groups of people have assembled different lists of the seven wonders of the modern world. Most of these lists are of civil engineering wonders, but some lists include wonders from other branches of engineering. If you were to make your own list, perhaps you would include the Internet. The Internet is made up of other modern technological wonders, including the computer, the microcomputer, operating systems, and telecommunications systems. It is powered by a global energy distribution system, and has developed a mutually dependent relationships with many energy distribution systems. Will the Internet last as long at the Great Pyramid of Giza? Like the Great Pyramid of Giza, the Internet was designed to last. In part, its strength is due to its distributed design. It has become so large, so self-healing, so redundant and so distributed that is never entirely down. Of course, there always some parts of it that are not working quite right. Back in 1998, a hacker named Peiter Zatko, aka Mudge, claimed before the United States Congress that it was possible to take down the entire Internet. Whether one believes that something like this was possible then (or might still be possible today), the idea that large parts of the power grid or the Internet could encounter long duration outages should be considered. This is because the operation of either currently depends the operation of the other, and many lives now depend on both. copyright 2013 NetChime Research LLC, All rights reserved. This entry was posted in Information Security, networking on August 16, 2013 by blogadmin. The Chief Information Officer had run into this sort of problem before. His Network Manager was telling him that the leased line provider had an outage on Line AB. The leased line provider was telling him that there appeared to be something wrong with Port 1 on Router A. 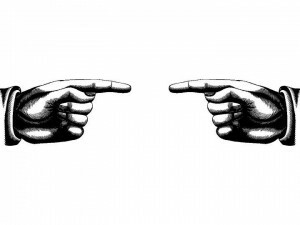 What he hoped would be a productive information-gathering meeting was turning into an exercise in finger-pointing with both sides indicating that they checked and rechecked their work. So, quite seriously, the two sides were squared off, both convinced the other side had messed something up. Because the Chief Information Officer had run into this problem before, he knew exactly what to do. He proposed an experiment. The idea was to connect Leased Line AB to Port 2 and Leased Line AC to Port 1. 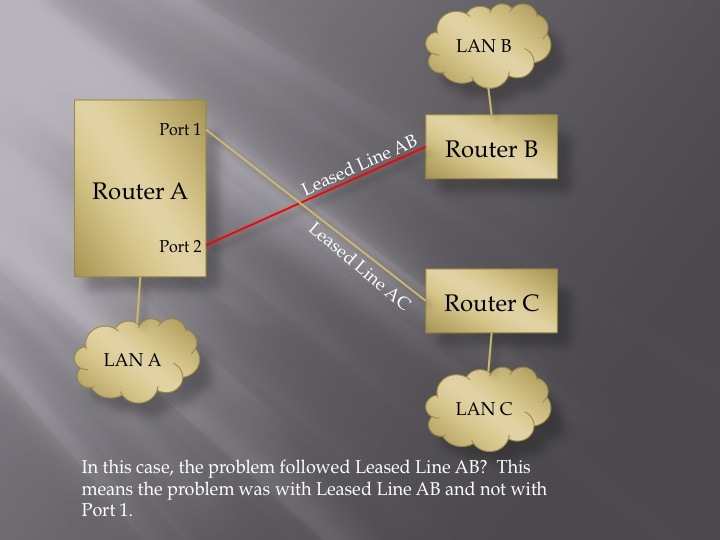 If the problem remained on Lease Line AB and not on Lease Line AC, then the problem was with Leased Line AB. 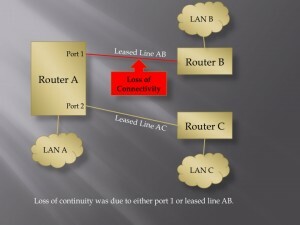 If the problem moved from Leased Line AB to Leased Line AC, then the problem was with Port 1 of Router A. Both sides eagerly agreed to experiment. This was just the sort of evidence they needed to show that they had done their jobs correctly. Of course, Router A’s configuration would need to be temporarily modified to maintain consistency with the IP addressing scheme in place. Fortunately, this was a simple modification, and the Network Manager had the changes ready within 15 minutes. All that was needed then was to swap the cables and reboot Router A. The result was that the problem remained with Leased Line AB. Fortunately, the Leased Line Provider was a reasonable guy, and he was quick to accept what this new evidence meant. He reviewed the provisioning of Lease Line AB for the third time, comparing each parameter with the parameters of Leased Line AC. These two lines were supposed to be provisioned identically. When he found one parameter that was not identically configured, he knew he had found the problem. This was quickly corrected and full connectivity was restored to the wide area network. If the Leased Line Provider’s ego was bruised, he didn’t show it. In any case, everyone was relieved that the problem had been solved. This entry was posted in networking, Testing on August 9, 2013 by blogadmin. The Information Security Analyst sat quietly in the audience. He had driven for hours to hear this presentation, and he could barely believe what he was hearing. The speaker, the head of a government organization, an organization responsible for protecting his country’s information systems, was downplaying the importance of automotive cyber security, comparing those worried about the situation to “Chicken Little,” running around and complaining that the sky was falling. “Wow” he thought. “Does this guy just not understand the situation, or is he pretending that it isn’t a problem for some reason?” The analyst knew full well there was a problem, because he had read two important papers on the topic. 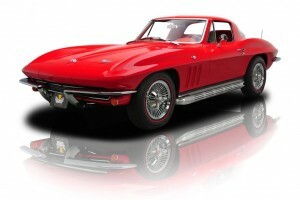 The first was titled “Comprehensive Experimental Analyses of Automotive Attack Surfaces.” The second was titled “Experimental Security Analysis of a Modern Automobile.” These two papers, both written by a team of researchers from the University of California, San Diego and the University of Washington painted a very different picture of automotive cyber security. Not only did the papers point out that there were vulnerabilities. The researchers demonstrated exploits against the vulnerabilities. Three experiments were most notable. First, they demonstrated that it was possible to hack a vehicle through a music file, which would play fine on a computer or a stereo system, but would deliver software updates to onboard computers called Electronic Control Units (ECUs) when played on a vehicle stereo system. Next, they demonstrated that it was possible hack a car while the car was in motion, disabling the brakes at 40 miles per hour. Finally, they demonstrated that multiple cars could be hacked and then commanded to respond to remotely issued commands in unison. This was done while the cars were geographically separated by a large distance. The authors left it to the reader to speculate what sort of major cyber-attack might be possible should some gifted hacker, terrorist group or some nation state decide to get very nasty. The idea of millions of cars simultaneously losing the brakes while driving over 55 mph came to the analyst’s mind. “Guess that means I’m chicken little” he thought. “Well, at least I’m not running around claiming the sky is falling.” Of course, he would do something about it. He was planning to get another car. This car would be cyber hardened because it would contain no ECUs. This car would be a 1966 Corvette. This entry was posted in Digital Design, Electronic Design, Embedded Software, Information Security, networking, Testing on August 3, 2013 by blogadmin. The electronics test engineer was the first to enter the lab that morning. He turned on the radio and thought to himself “That’s the third time I’ve heard that song today, and it’s so monotonous.” It was time for a new station. 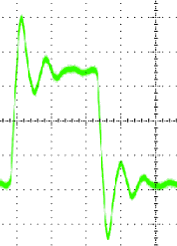 He turned the tuning knob and soon realized he was scanning the AM band. “Why do the lab techs always insist on listening to AM stations?” He switched the radio to the FM band and was soon listening to his favorite golden oldies station. OK, it was time to get to work. He applied power to the unit under test and a horrible buzzing sound filled the room. It was coming from the radio. He tried other FM stations on the radio. Each one was accompanied by the buzzing sound. “Oh…now I understand,” he thought. The prototype has been generating electromagnetic interference. That interference has been garbling the music on the FM stations. The lab techs were probably adapting to this by only listening to the AM stations. To test his theory, he switched the radio back to the AM band, trying various stations. Each AM station came through loud and clear. The electronics test engineer had a problem, because his company would not be able to sell a device that interfered with FM broadcasts. He knew the prototype would eventually be sent to a special testing lab for an FCC certification. The electromagnetic compatibility (EMC) test technicians there would also detect the interference. He hoped he would be able to find the source of the problem and fix it before schedules and budgets were negatively impacted. This entry was posted in Analog Design, Digital Design, Electronic Design on July 27, 2013 by blogadmin. “Why can’t the radio waves get through the holes in the cage?” he had asked. “You can’t see them, but radio waves have a size called a wavelength and a strength called an amplitude. These radio waves are too big and not strong enough to get very far through the holes. If we switch to an FM station, we’ll be receiving radio waves with a shorter wavelength. These wave are small enough to get through the holes, and we’ll hear the music again.” The old man flipped the AM/FM band selector on the radio to FM, turned the tuning knob and, sure enough, there was music again. Remembering this, the electronics test engineer realized that a metal lid had been removed from the prototype to replace some read only memory (ROM) components. He selected the FM setting on the radio, and the buzzing returned. He found the lid, bolted it to the prototype, and the buzzing sound stopped. There really wasn’t a problem after all. The necessary shielding was in the design, and it had been removed during the ROM replacement. The electronic test engineer was thankful for his discovery. He had one less problem to worry about. 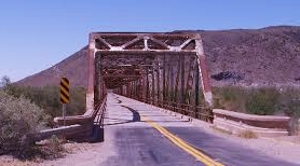 He was also thankful for the nice memory of driving through the desert and being with his father. Click here to see an interesting presentation on EMC. This entry was posted in Analog Design, Digital Design, Electronic Design, Testing on July 27, 2013 by blogadmin.